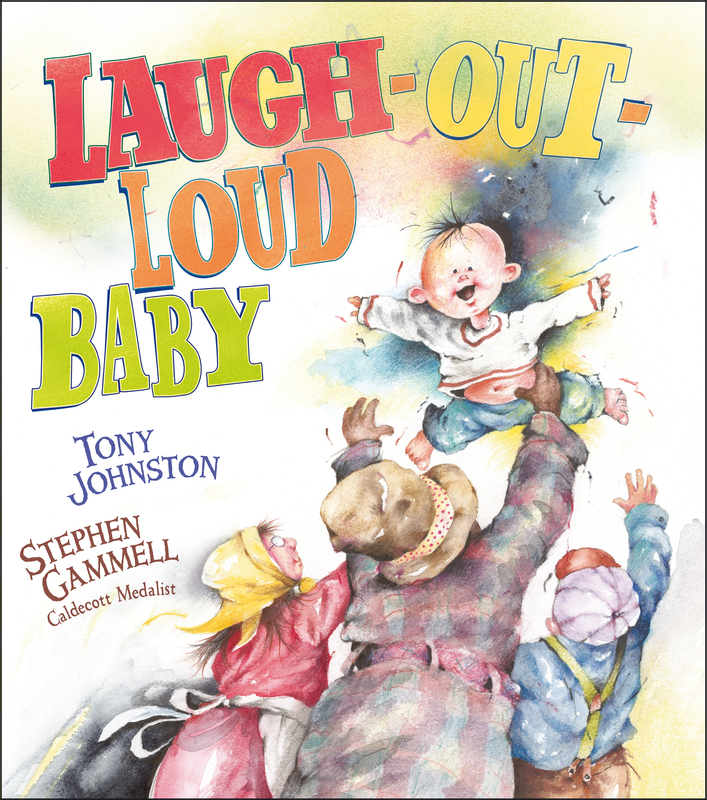 From Caldecott Medalist Stephen Gammell and beloved writer Tony Johnston, this joyous picture book celebrates the sound of a baby’s laughter. The family gathers round to hear the sweet sound of the new baby’s sweet laugh! But just because everyone has gathered doesn’t mean the baby’s ready. When the moment finally comes, the sound makes everyone else laugh too—aunts, uncles, cousins, and even great-grandma. It seems no one can resist the sound of baby’s laugh. And who would want to? With simple, endearing text and Stephen Gammell’s unmistakable art, this tribute to the joy a young child’s laughter will quickly become a family favorite. Stephen Gammell is the beloved illustrator of more than fifty books for children, including Song and Dance Man by Karen Ackerman, which received the Caldecott Medal, and two Caldecott Honor Books: The Relatives Came by Cynthia Rylant, Where the Buffaloes Begin by Olaf Baker, and The Secret Science Project That Almost Ate Our School by Judy Sierra. Mr. Gammell lives with his wife, Linda, in St. Paul, Minnesota. Song and Dance Man, 1988) capture the joy of hearing a baby laugh for the very first time. When a little boy—whose drooping pants reveal an adorable baby crack—laughs out loud, the family stands “stock-still” to listen to the sweet noise. Mama suggests a “Laugh-Out-Loud Party” so that aunts, grandpas, cousins, and neighbors can get in on the miracle, and each tries to set the baby off with snorts and giggles of his or her own. Of course, babies don’t perform on demand, and Baby chuckles in his own time (but when he does, “Whoopee-Doodles! Our baby LAUGHED!”). Johnston’s rollicking text is full of poignant phrases—“and into that quiet rang a little mirthful sound”—and plenty of jolly guffaws, while Gammell’s signature watercolor, pencil, and pastel illustrations feature a quirky family from another era living in a crooked clapboard house brimming with love. An author’s note points out that the Navajo celebrate a child’s first laugh with a ceremony. Sharing this with a child can’t help but provoke . . . well, you know. It’s a pretty bang-up team: Johnston has more than 100 books under her belt, while Gammell has won both the Caldecott Medal and two Caldecott Honors.